If you shoot BB guns then you know about ricochets and how dangerous they can be. I once shot a BB at an old stove I ran across in the desert. I shot at the glass oven door from about 30 feet and instantly got hit in the forehead by the BB. I never did that again. I’m lucky I didn’t lose an eye! There are 2 lessons I learned from this incident. Some BB guns will only shoot BBs like the Daisy Red Ryder. So you don’t have a choice of lead pellets. So what do you do? I like and prefer shooting lead or copper coated lead BBs. Actually the copper plated are better for the simple reason there is no exposed lead. Lead is hazardous to most life on Earth. Anyway…so who makes copper coated lead BBs? 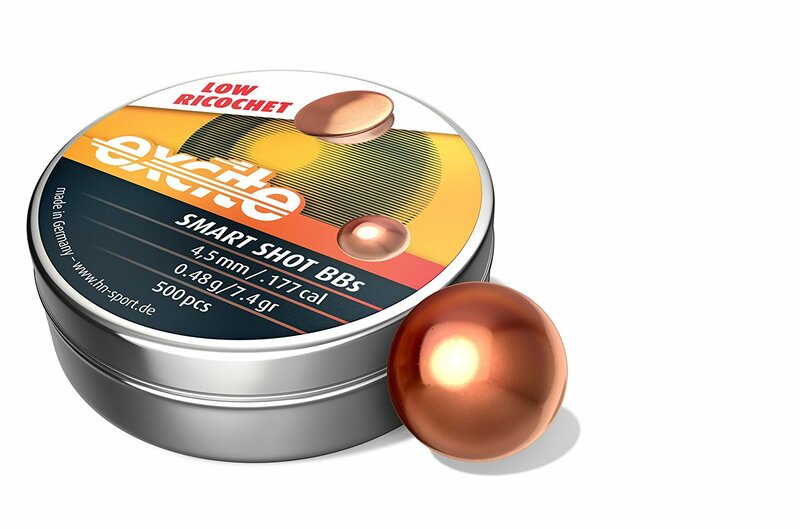 H&N Excite Smart Shot BBs are lead core BBs with a copper coating. 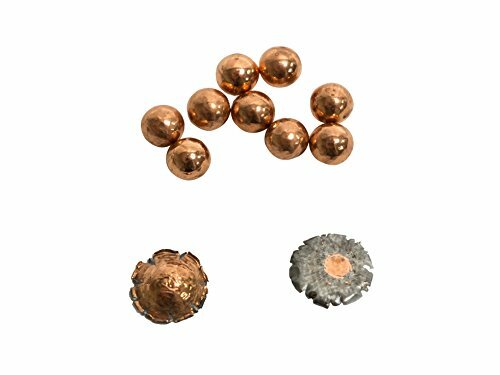 These BBs expand and flatten when they hit a target or any hard surface without ricocheting. They are much safer than steel BBs. Since the core is lead which is heavier than steel, Smart Shot BBs are heavier and weigh about 7.4 grains. Steel BBs weigh about 5.1 grains. BB gun velocities will be lower with Smart Shot BBs but penetration maybe greater because of the increased density. This entry was posted in BB by admin. Bookmark the permalink. Best Air Pistol for Self Defense – Which are Lethal?